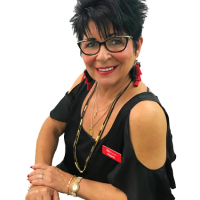 Margarita commenced her career right here in Toogoom back in 2004 and her dream became her reality when she and her life partner purchased the business in 2012. Previous to this Margarita worked for a large franchise and won several awards. However when the opportunity arrived for her to buy the Toogoom business she grabbed it with drive and enthusiasm. Her passion for helping people turn the page, move on or expand is noted by the business growth going from strength to strength. A lot of hard work and commitment has seen this business engage 7 staff and two office locations. All staff are experienced, committed and local. Elders Real Estate Toogoom and Northern Beach is a family owned and run business which embraces its staff like their own family. Good old fashioned service, yet professional with a smile. Margarita believes that her staff are the most important people, if you look after them, they will look after the business. Whilst Margarita is happy to list referral business she prefers to pass the work on to the Sales Staff, so she can work on the business whilst they work in the business. Would you like to speak to Margarita? If you’re thinking about renting or selling your property and you’d like a clearer picture of how much your property might be worth or want to have an informal chat about general property market trading conditions, Margarita will be happy to arrange a full market appraisal of your property.